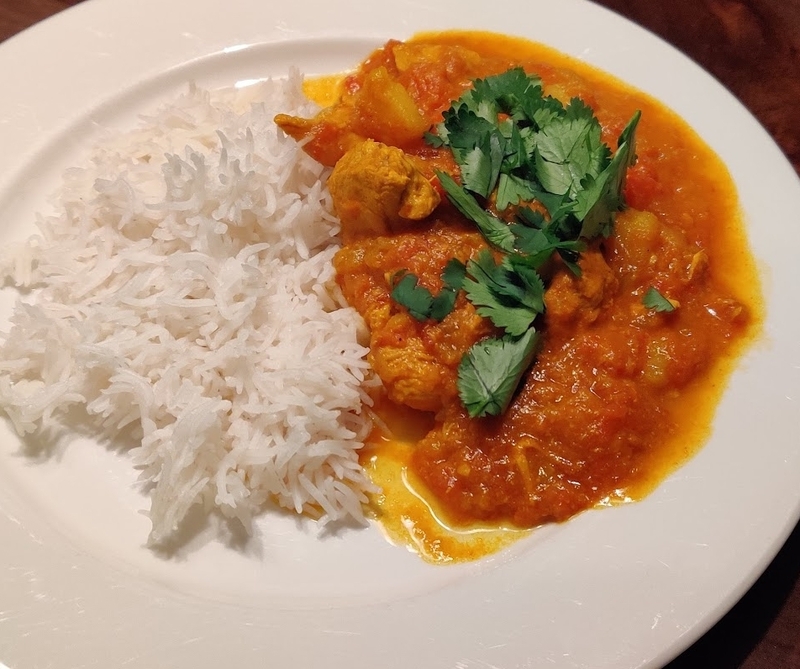 An excellent and simple pub chicken curry that can be easily adapted to your personal tastes. Will taste like you have been preparing all day yet it only took minutes to prepare. 1 lb Chicken breast, boneless, cut into small bite sizes. Chicken thighs also good option. Simmer for about 45-60 minutes. Best if allowed to simmer longer to allow flavours to blend. If you would like a thicker curry add 1/2 tsp cornstarch to some of the liquid in a separate dish and add back to the curry.